This two-volume set provides a full account of hydrometallurgy. Filled with illustrations and tables, this work covers the flow of source material from the mined or concentrate state to the finished product. It also highlights ion exchange, carbon adsorption and solvent extraction processes for solution purification and concentration. 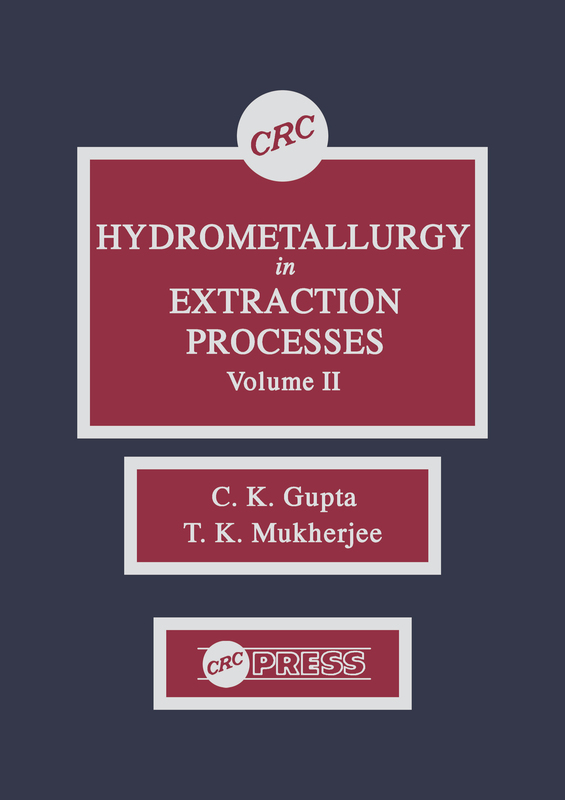 The extensive reference list-over 850-makes this set a valuable resource for extraction and process metallurgists, researchers, and practitioners.